A group of 13 women with experience of PP travelled to the beautiful area of Dittisham in Devon as guests of Lara Lloyd, the owner of Coombe Farm studios, in May 2015. 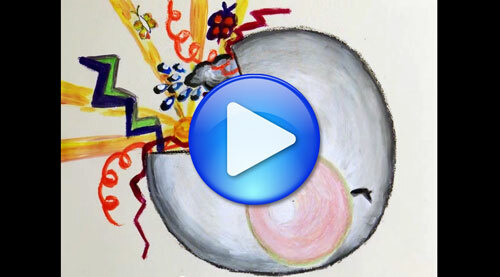 The object of the weekend was to explore, through art, the experience of Postpartum Psychosis. Many women who have had experience of PP do not feel they have a voice. Such is the burden of guilt, of confusion, of isolation and traumatic memories of PP. Feelings that are largely due to years of needless stigma of maternal mental illness. Thus to meet up with other women (perhaps the only time that some will have met another woman who has suffered an episode of PP) was of immense value. The feelings of acceptance, ease and support throughout the weekend is hard to put in to words, but it was a truly incredible bond shared between the amazing participants we had on the workshop. "The opportunity to talk to others has been incredible, such a powerful healing opportunity." "The experience of talking with other women was very profound and moving. It was a really safe place – I made some amazing connections. There was huge connection between all of us." "The pride I have for this group of women cannot be measured." Artists Julia Vaughan and Li Appleby proved superb in leading our art workshop. They sensitively gave everyone expert guidance, quickly gained the trust of participants, and clearly understood what was needed to enable women to interpret their experiences of PP in graphic forms. Julia shared with the group some of her own beautiful images around the theme of harbour, which then inspired one of the activities carried out on the Saturday. Li shared her expertise in lino cutting. This was a really exciting and uplifting activity and lead to some great prints being produced. The warm, embracing environment of Coombe Farm, the care taken by Lara and the healthy, delicious meals prepared by Lauren sealed what was a magical weekend. In addition, we were joined by external speakers Dr Jo Black, perinatal psychiatrist, and Dr Heather O’Mahen, clinical psychologist to speak at our exhibition on the Saturday night. They spoke with such emotion, honesty and integrity that many of the participants were moved to tears. We were very grateful to have such amazing speakers join us for an evening of celebration of the beautiful artwork which had been created. "The venue was a beautiful, comfortable, welcoming oasis"
"I feel so privileged to have been there and it is an experience that I will treasure forever. The words spoken by Jo Black the perinatal psychiatrist were the most profound words I’ve ever heard in relation to PP and women who have experienced life changing illness. Words I will never ever forget." The weekend overall was incredible. It is difficult to put into words the immense feelings from the weekend. To be in a stunning setting in Devon, surrounded by such strong and inspiring women, producing the most beautiful art work, was at times truly overwhelming. The weekend will be remembered by all for being a hugely healing, wonderful experience with bonds being made that will last forever. "This gave me the opportunity to meet other women to reflect, learn and mend my soul." "I just want to say thank you so much for this experience. 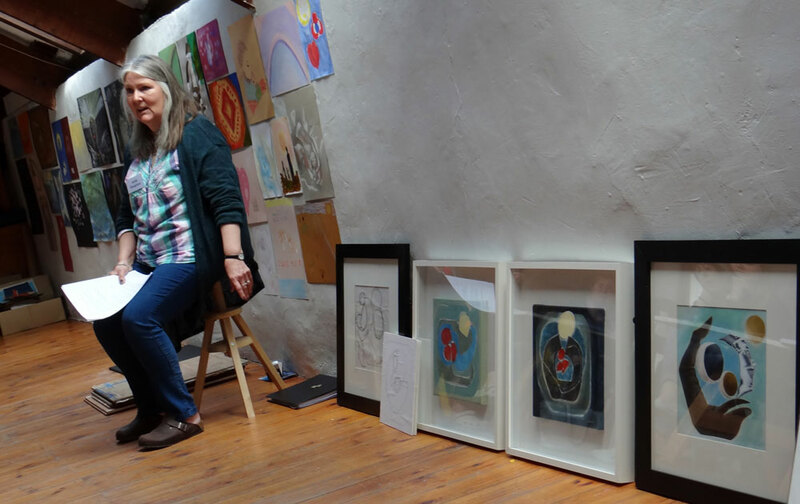 It was the most profound, moving experience – something I think I will treasure and remember for all my life"
We owe a great dose of gratitude to the Big Lottery for their support of the APP Art Workshop weekend. And thank you to all the inspiring, incredible women who came to share their stories, art and love in the little haven in Devon.